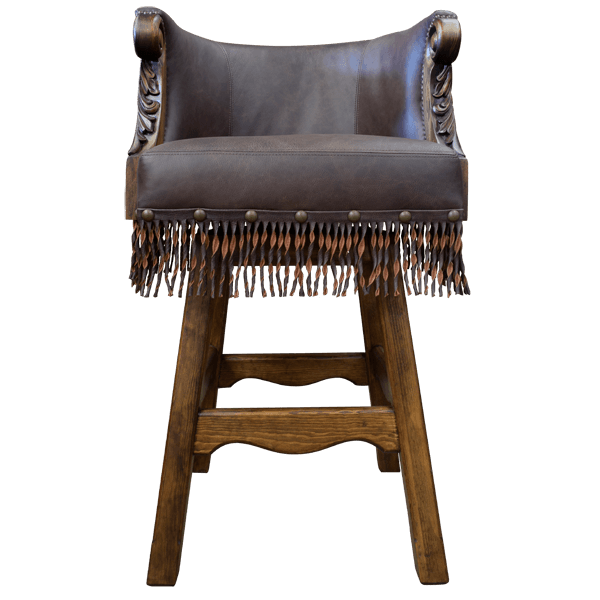 This Western style bar stool has genuine cowhide leather on the reverse seat back and fine full grain leather on the seat and on the inside seat back. The central part of the inside seatback is decorated with elaborate button tufting. 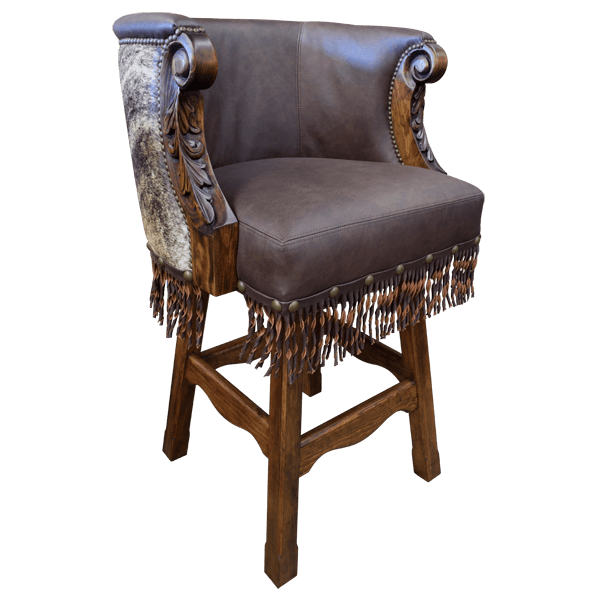 The Western design is enhanced by genuine leather fringe that is carefully hand tacked all around the base of the seat. The bar stool is designed with a solid durable body and is very comfortable due to its horseshoe shape. The bar stool has additional decorative designs such as ornate hand carved scrolling on the armrest. The entire bar stools is raised and sits on splayed solid wood legs joined by a curved cut footrest box stretcher. The bar stool swivels 180° and is 100% customizable.